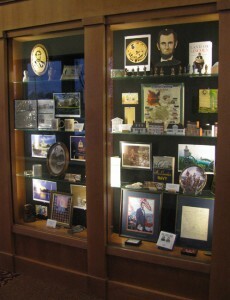 Lincoln display at the Wayne County Public Library in Wooster. Stop by the Wayne County Public Library in Wooster to see the display featuring the Civil War, Abraham Lincoln and Peter Hartman, a coverlet weaver in the 1800s from Wayne County. The displays are located just inside the back doors (south side), down the hallway to the left. They can be viewed during library hours. 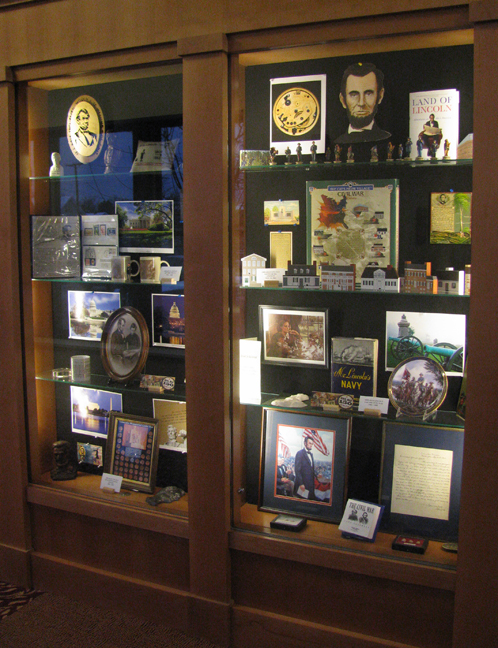 The Lincoln display was curated by Gerald Payn showing four periods in Lincoln’s life: his youth, his years as a lawyer and politician, his presidency, and the Civil War. 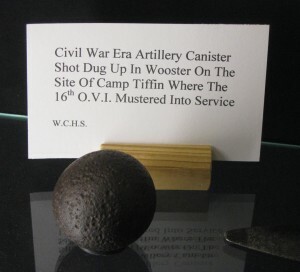 The Civil War display, which shows authentic artifacts from the period, was laid out by Roger Rowe, the Historical Society’s curator of militaria. 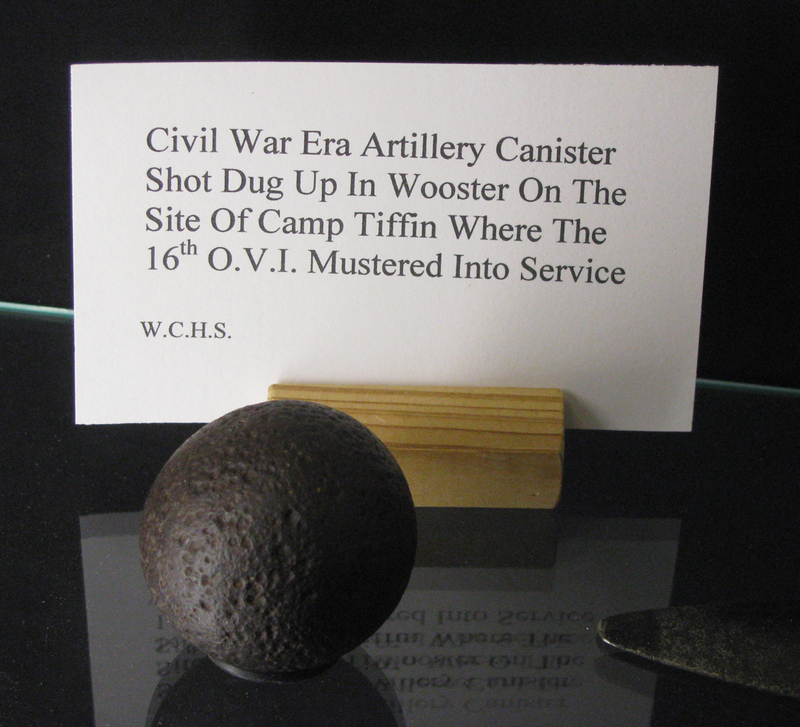 Civil War-era artillery canister shot. An in-depth display of the many designs of Wooster coverlet-weaver Peter Hartman was curated by Ginny Gunn, a member of the WCHS textile committee. The display at the Library will remain until February 28. We hope you’ll stop in. Let us know your thoughts!